The Patron Saint of Networkers/Introducers?! He said to them, “Come and see.” They came and saw where he was staying; and they stayed with him that day, for it was about the tenth hour. 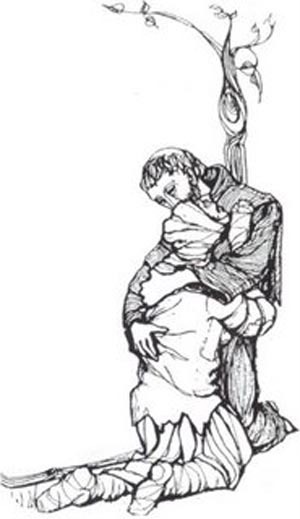 One of the two who heard John speak, and followed him, was Andrew, Simon Peter’s brother. He first found his brother Simon, and said to him, “We have found the Messiah” (which means Christ). He brought him to Jesus. Jesus looked at him, and said, “So you are Simon the son of John? You shall be called Cephas” (which means Peter). Now Philip was from Beth-sa’ida, the city of Andrew and Peter. The Apostle Andrew seemed to be someone who connected people to one another or was in the middle of connecting people to one another. Perhaps we should add to the offices of apostle, prophet, pastor, teacher, evangelist, the office of networker. The networker and evangelist are related but not the same. The networker uses and builds the network of relationships that exist around Jesus. I would venture to say that many of you came to Christ because someone knew you and introduced you to someone else they knew who brought you to Christ. There are a lot of great and erudite homilies out there in books and on the internet about Andrew. I recommend them to you. My reflection is, however, pretty simple. Andrew was the guy who says to you, “I know this guy you should meet. Let me set up an introduction.” We need to those men and women who work, for the glory of God, the matrix of relationships that exist in the world. The attempt to prove something isn’t necessarily all bad. It could be positive. It could, admittedly, be a desire to prove that I have a right to exist, in which I am always trying to prove to someone/everyone that I didn’t slip in the side door of human existence without a ticket. On the positive side, I could be pursuing the realization of my artistic identity as an affirmation that I am authentically human. This second way equates human being with artistic identity. The “creative act,” to quote Stephen Levine, “is an affirmation of being, an attempt to bring something new into the world.” (a disclaimer — I have, admittedly only read the “Introduction” to the book from which the quotes I have included are taken. My initial perusal of the book reveals that I would probably disagree with just about everything else in it. Nonetheless, I was incredibly intrigued and attracted by his words and the chords it struck deep within me even if they are taken out of context…) It could be driven by a need to prove one’s right to exist or it could be the fruit of receiving one’s right to exist as a gift of God’s artistic expression. It could be the acceptance of a mandate to exert the influence that each and every human being has been created to exert in God’s redemptive design in Christ Jesus as a artist in the medium(s) of faith, hope, and love. Someone must die for someone to live. That is the essential message of the Gospel. I do not mean that is just the penal, substitutional atonement sense, but also the personal sense. 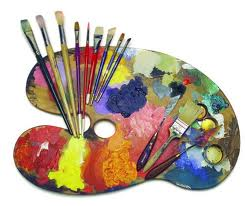 I must die to the artistless self to be born to the artistic self. My life-long struggle (and I do mean struggle) to realize and receive my identity as an artist in my own right, unique in my artistic expression and medium(s), is not an illusion. It is the redemptive struggle to live an authentically human life. If I yearn and strive for it and die to all that hinders it, a work of art does emerge through me that is mysteriously an expression of myself and the artistic identity and giftedness of the “One True Artist,” God Himself, by His grace/love. The mysterious reality of “tradition” and its nature in the Christian faith was a something that Pelikan studied and spent many volumes articulating. “The Holy Tradition” is, as it were, the rainforest from which springs prayer, scripture, fellowship, ministry, and witness. These are sustained and flourish, nourishing we who dwell in the forest and venture forth from it to share its treasure. I invite you to either read or listen to this challenging and wonderfully enjoyable interview here. Dr. Pelikan: The centrality of tradition as a force, as the bearer of the message, as what the church believes even if I don’t believe anything at a particular moment, and the capacity of tradition to sustain itself and to sustain the church is something with which I have been impressed partly through my own studies and partly by my faith and the realization that, of course, there was tradition before there was a Bible. Ms. Tippett: Mm-hmm, took a couple of hundred years to pull together. 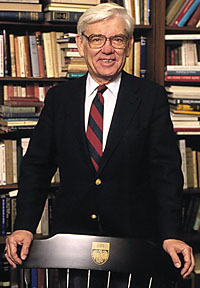 Dr. Pelikan: …and tradition went on interpreting the Bible after the last book of the Bible had been written, and a deep awareness and, I suppose, a deepening awareness, historically, of not only change but of continuity. I’ve never seen it in print that every day, since the middle of the first century, Christians have gathered together around bread and wine, thanked God and received it as the body and blood of Christ, that there has been no day when that didn’t happen. The doctrines about it have changed, the liturgical forms have changed, all of that, but that this has happened every day — you multiply 2,000 by 365 with an extra day for leap years, that’s a massive continuity, and creeds represent that. And you know, Molière’s Le Bourgeois Gentilhomme, he discovered one day that he had been speaking prose all his life. And so I sort of discovered that I’d been speaking Orthodox all my life. And so I didn’t really convert. Convert is to change, and I didn’t change. I simply discovered the continuity that had been there all along. Ms. Tippett: Well, isn’t that what change is often about? I don’t know. Dr. Pelikan: Well, I suppose. The fruit of the interplay between “staying the same” and “constantly changing” is the realization of our true home and identity. In this, we are invited to make contact with and move in the flow of God’s faithfulness in the midst of all our transitions – times of liminality – in which we might doubt that His faithfulness is real. The transformative work of the Holy Spirit might be articulated as this interplay in the context of the love of God the Father in the person of Christ Jesus His Son. Let me explore the challenge contained in this question. I am grateful/thankful for a number of things. The list is huge. I don’t think the challenge is to be thankful. Rather, I believe the challenge is whether or not, on a practical basis, that gratitude is the soil that creates, nourishes and strengthens my thought life and actions. There is a difference between “knowing” something in my head (and I mean even really being convinced) and having what I “know” be the real genesis of my thoughts and actions. What I may end up doing is allowing gratitude to have a voice or inform me in some relatively peripheral way, but not really be the basis of my life. The saint is not advising me to allow thanksgiving to have somewhat of a voice or some input, but to be the very environment and raw material, when properly received and integrated, that generates and shapes my patterns of thought and thus all my actions. As all of you know, I am certain, the Greek word for thanksgiving is εὐχάριστος “eucharistos.” The ramifications are obvious. The Lord desires for me to live a “Eucharistic life.” I am supposed to be continually abiding in the death and resurrection of Christ Jesus (the fertile soil), which is not only the very environment that sustains my life, but becomes my very food and drink. As I digest Him spiritually He infuses every fiber of my inner life – my thoughts, emotions, will, desires, and consciousness with His life. Actions that witness to the Lord Jesus not just as Savior but reigning Lord are the fruit of this nourishment. It is no longer I who live but the Great Thanksgiver – Christ Jesus – who lives in and through me. By receiving and offering thanks in an appropriately repentant and surrendered way, I live and grow. I flourish. Every feast and fast of the Church’s life is intended to be embraced by the faithful with the intention of co-operating with the Holy Spirit in the integration of the theme or reasonable consequence of the them in their everyday life. Yesterday, in the Western Church, was the feast of “Christ the King.” How would the Holy Spirit desire to integrate the authentic Kingship/Lordship of Christ Jesus in your life? Where, according to the revelation of the Holy Spirit, is Christ Jesus not reigning completely? How might He? 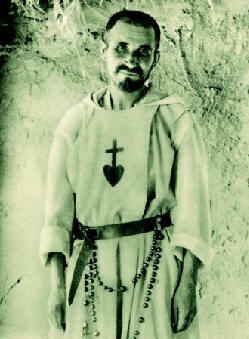 Blessed Charles de Foucauld, a trappist monk of the 20th century confronted and co-operated with the Holy Spirit in answering just that question. The result was extraordinarily life changing. A biographical sketch of his life can be read here. Perhaps it would be fruitful for us to reflect on his life and reflection on the gospel reading for the feast in order to more deeply listen for the voice and instruction of the Holy Spirit regarding how Christ Jesus can effectively reign in our life. Here, then, is the reflection of Bless Charles de Foucauld. Speak Lord, for your servants listen with a readiness for your word, ready to obey in humble gratitude. O my Lord Jesus, how quickly will a person become poor who, loving you with all his heart, is unable to bear being more wealthy than his Beloved. How speedily will he become poor who, reflecting that all that is done to one of these little ones is done to you and that all that is not done to them is not done to you (Mt 25.40,45), brings comfort to all the neediness within his power. How quickly will he become poor who receives your words in faith: ‘If you would be perfect, sell what you have and give to the poor. Blessed are the poor. Everyone who has given up his possessions for my sake will receive a hundred times more and in heaven, eternal life’ (Mt 19.21,29; 5.3) and so much more. O my God, I cannot believe some souls are able to see you poor and yet choose to remain rich, to see themselves as so much greater than their lord, their Beloved, and not want to be like you in everything insofar as it depends on them, especially in your humiliations… In my view, anyway, I cannot think of love without a pressing need for conformity, for likeness and, above all, for sharing all the pains and difficulties, all the hardships of life. To be rich, at ease, living comfortably off my possessions when you were poor, afflicted and living painfully off a hard labor – no, I cannot, my God; I cannot love like that. “Blessed i s the man who knows his own weakness, because this knowledge becomes to him the foundation, root, and beginning of all goodness. For whenever a man learns and truly perceives his own weakness, at that moment he contracts his soul on every side from the laxity that dims knowledge, and he treasures up watchfulness in himself. But no one can perceive his own infirmity if he is not allowed to be tempted a little, either by things that oppress his body, or his soul. For then, comparing his own weakness with God’s help, he will straightway understand the greatness of the latter. And again, whenever he looks over the multitude of his devising, and his wakefulness, his abstinence, the sheltering, and the hedging about of his soul by which he hopes to find assurance for her, and yet sees that he has not obtained it; or again, if his heart has no calm because of his fear and trembling: then at that moment let him understand, and let him know that this fear of his heart shows and reflects that he is altogether in need of some other help. For the heart testifies inwardly, and reflects the lack of something by the fear that strikes and wrestles within it. And because of this, it is confounded, since it is not able to abide in a state of surety; for God’s help, it is said, is the help that saves. When a man knows that he is in need of divine help, he makes many prayers. And the more he multiplies them, his heart is humbled, for there is no man who will not be humbled when he is making supplication and entreaty. ‘A heart that is broken and humbled, God will not despise.’ (Ps. 50.19) Therefore, as long as the heart is not humbled, it cannot cease from wandering; for humility collects the heart. A fitting vigilance and humility inspiring prefatory caution to any and all words, I/we presume to write or speak; read or hear. Let us continue on the theme of living the Gospel rather than just talking/writing about it. As many of you know, I am a history teacher. I am going to be leading my students through a study of the Middle Ages in the history classes I teach. As a result, I have just read an elementary level biography of St. Francis. In the course of my reading I came across the “Earlier Rule” of St. Francis (1221 A.D.). In his rule, Francis equates preaching with the practical shape and character of his life among those to whom he preaches. In essence, the practice of what one preaches is the best preaching. The following quote from the Earlier Rule makes this point crystal clear. Here is what St. Francis says about the life of one who preaches the Good News of Christ Jesus in the world. “All the brothers, however, should preach by their deeds. And no minister or preacher should appropriate to himself the ministry of the brothers or the office of preaching, but he should set it aside without any protest whenever he is told. Therefore, in the love which is God (cf. 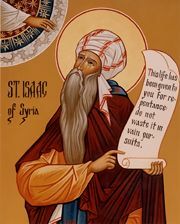 1 John 4.16), I beg all my brothers – those who preach, pray, work, whether cleric or lay strive to humble themselves in all things [and] not to take pride in themselves or to delight in themselves or be puffed up interiorly about their good works and deeds—in fact, about any good thing that God does or says or sometimes works in them and through them. [This is] in keeping with what the Lord says: Yet do not rejoice in this: that the spirits are subject to you (Luke 10.20). And we should be firmly convinced that nothing belongs to us except [our] vices and sins. Rather we must rejoice when we would fall into various trials (James 1.2) and endure every sort of anguish of soul and body or ordeals in this world for the sake of eternal life. Therefore, all of us, brothers, must beware of all pride and vainglory. And let us keep ourselves from the wisdom of this world and the prudence of the flesh. For the spirit of the flesh desires and is most eager to have words, but cares little to car­ry them out. And it does not seek a religion and holiness in the interi­or spirit, but it wishes and desires to have a religion and holiness outwardly apparent to people. And these are the ones of whom the Lord says: Truly I say to you: They have received their reward (Matthew 6.2). But the Spirit of the Lord wishes the flesh to be mortified and despised, worthless and rejected. And it strives for humility and patience, and the pure and simple and true peace of the spiritual per­son. And above all things it always longs for the divine fear and the divine wisdom and the divine love of the Father, and of the Son, and of the Holy Spirit. Does this mean that we say/write nothing until we are perfect in the matter of which we speak/write? No, of course not. But, it does mean that we are conscientiously seeking and striving to have that area (and others) conformed to Christ Jesus and a witness of His character, actions, and offices. If not, then we are “a noisy gong or a clanging cymbal.” Above all, let us forgive as we have been forgiven. Perhaps this is the deepest qualification for speaking/writing. Let us run with perseverance the race that has been set before us with all diligence and patience. Not with presumption, thinking we are better than anyone else (an expert or master) or thinking of ourselves as “God’s answer to ________.” Let us press on seeking nothing but an increase of true humility (the good soil). Let us seek not eloquence but humility. The eloquence will take care of itself. We must rely completely upon and with all diligence cooperate with the grace of God to be our good and strength in this matter.